Recently concluded One day international between New Zealand and England where Morgan’s boys won the bilateral series by 3-2. In the last 5th ODI which raised the heat to the par when the series was at 2-2 and Kiwis had the chances to win 11 out of 13 matches played so far in the session. In fact, Blackcap Taylor wen though struggling with thigh injury scored a tremendous run of 181 in 4th ODI which made everyone to amaze. In this whole summer right-hand batsman Ross Taylor scored 626 runs at the average of 89.92 inclusive of two centuries, three fifties, and three 40’s not out. It was England all-around performances with good team effort made them win over the host, now everyone speculating them as a World Cup number contender as it will be going to held in England. Nevertheless, Kiwis have the opportunity to embark their mark in the test series of two matches that will be going to commence from 22nd March. ICC initiative to revive the popularity of test matches by making it in D/N format will now gain much more spectators and also young cricketers who otherwise following towards T-20 cricket. First test match of its kind will be played at Eden Park with the pink ball which was the talk of the town a few months back. Eoin Morgan who won the One Day International series against Kiwis is confident to register win in Test match also as England fast bowlers Mark Wood and Chris Woakes done pretty well with the new ball. Along with that Chris Woakes who displayed all-round show and will continue to do so. Kane Williamson exalts the English team for bowling very well and rues the lack of discipline by his own team with the bat. Exalting the effort by Mitchell Santner and Henry Nicholls but expected much more from his team by winning and continuing their winning streak. Blackcap Captain is quite hopeful to beat English in the upcoming Test match as their side are quite propelled towards limited over cricket. As a cricket fan, we always expect a close contention between the rival team and this One day international between English and Kiwis was nevertheless fit into the parameter of entertainment. Above that Upcoming Day and Night Test match series which added fuel of ecstasy among the cricket lovers will now are more exciting to watch pink ball innings. Crix11.com always updated cricket fans with their unique way of prediction of matches. 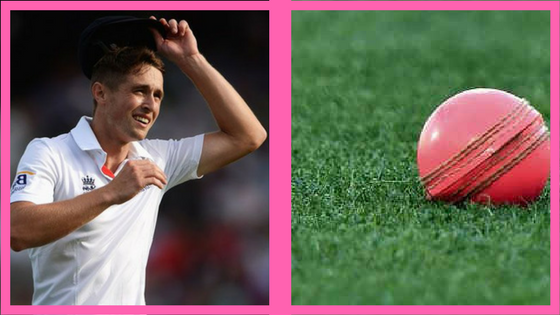 We are looking forward to present our readers with whole coverage of Pink ball test match.